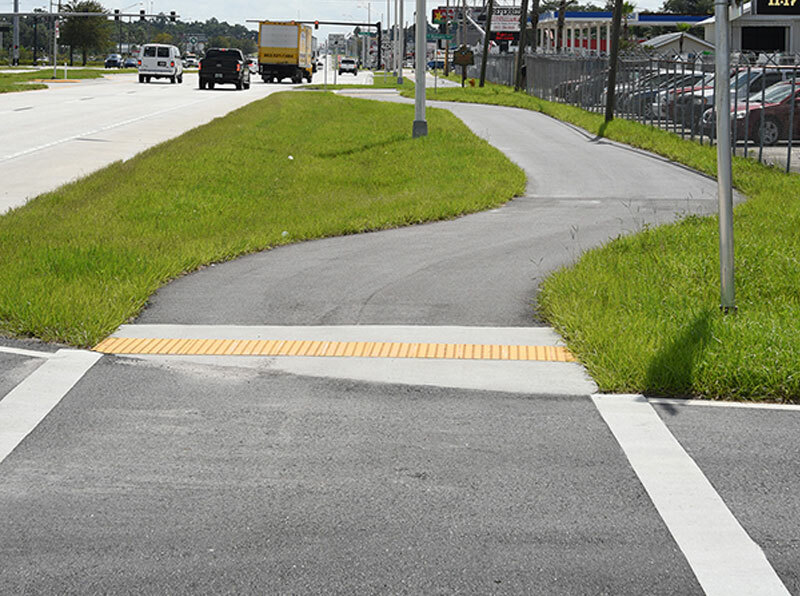 SR 546/West Memorial Boulevard Multi-Use Path from Chestnut Road to Brunnell Parkway, Polk County, FDOT District 1 - Faller Davis & Associates, Inc. The project involved construction of a 10′ asphalt multi-use path for 0.835 miles. The meandering path avoided numerous conflicts with utilities and light poles while providing an aesthetically pleasing recreational facility. The existing drainage system was reconstructed to accommodate the path. Curb ramps at each intersection were also reconstructed for the multi-use path crossing. 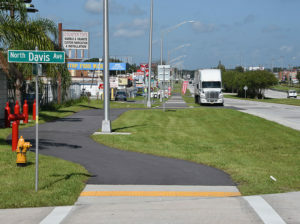 The multi-use path was constructed in conjunction with the concrete pavement rehabilitation of SR 546 from I-4 to Wabash Avenue.